The Alabama Department of Forensic Sciences Fire Debris section of the Chemistry Discipline operates in the Birmingham Laboratory. The Fire Debris section is charged with the mission of identifying the presence or absence of ignitable liquids. To accomplish this mission the fire debris section utilizes a variety of extraction methodologies and analytical instruments. Items submitted for testing will undergo extraction procedures and Gas Chromatograph/Mass Spectrometer (GC/MS) analyses. Gas chromatograph is an instrument that separates a mixture of compounds utilizing two phases, the mobile phase is an inert gas and the analytes (in gas form) are separated based on physical and chemical interactions with the stationary phase. 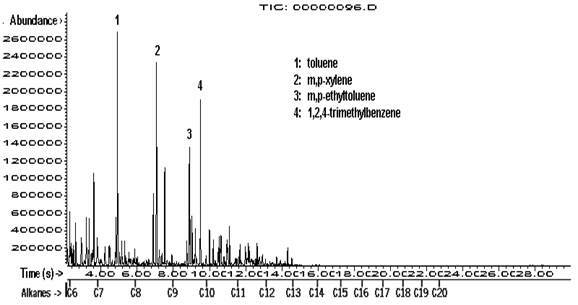 A Mass Spectrometer is an instrument that measures the mass to charge ratio (m/z) and relative abundances of ions for identification of chemical compounds. 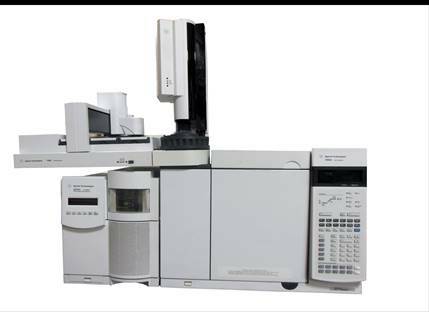 A gas chromatograph/mass spectrometer is a two part instrument that combines the separation capabilities of a gas chromatograph with the compound selectivity of the mass spectrometer.